Engineers are hoping they will soon be able to use fracking techniques in the U.K. to extract huge deposits of non-conventional gas. 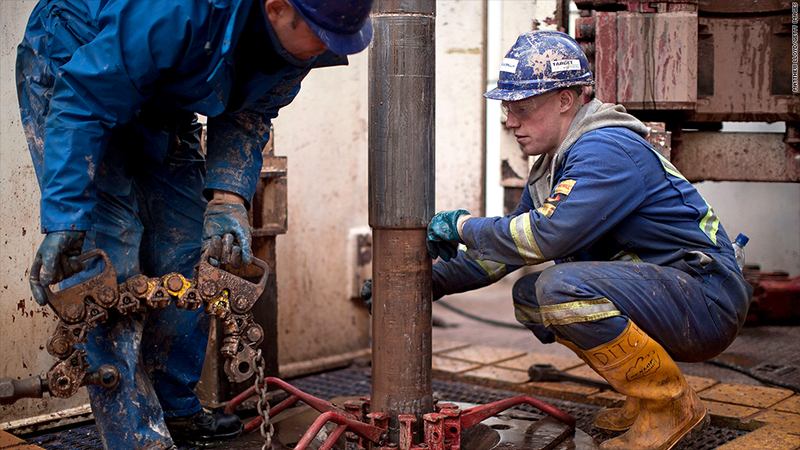 The United Kingdom could be one step closer to a U.S.-style energy renaissance as new estimates show there is a massive amount of untapped shale gas in the Northwest of England. Energy firm IGas released estimates this week showing there could be as much as 170 trillion cubic feet of gas in its license area - a monumental amount given that the U.K. uses only 3 trillion cubic feet each year. IGas is among a handful of energy companies that have been granted licenses to look for shale gas opportunities in areas across the U.K. in the hopes that the country may be able to replicate the energy boom currently playing out in the U.S.
New techniques such as hydraulic fracking -- which involves injecting water, sand and chemicals deep into the ground at high pressure to crack the shale and allow the oil or gas to flow -- have made the extraction of oil and gas from shale rock commercially viable. "It's inevitable that we will find more shale gas and it's inevitable that we will begin to exploit it," said London-based energy analyst Steven Fawkes. "We need more indigenous, local energy. We need cheaper energy. And as long as appropriate [policy and environmental] safeguards are put in place, I think that's a good thing." But before Britons start getting too excited about energy independence, it's important to understand that the IGas numbers are only preliminary estimates. "It's only when you drill wells that you really know," said Peter Atherton, an energy analyst at Liberum, though he says the IGas numbers were "encouraging." Energy experts also point out that only a fraction of the available shale gas -- between 10% to 30% -- can actually be extracted from the ground, while the remainder is unreachable and uneconomical to pursue. Meanwhile, the U.K is still years away from any potential energy boom. So far, there has been no commercial shale gas production in the country. "We're in the same place as where the U.S. drillers were in 2001," Atherton said. "Even with the best will in the world, we're still at least five years away from anyone commercially exploiting onshore non-conventional gas." Atherton explains that the U.K. still has to develop and refine its shale gas policies, it has to get the drilling wells in place and it also has to cultivate an onshore energy industry. 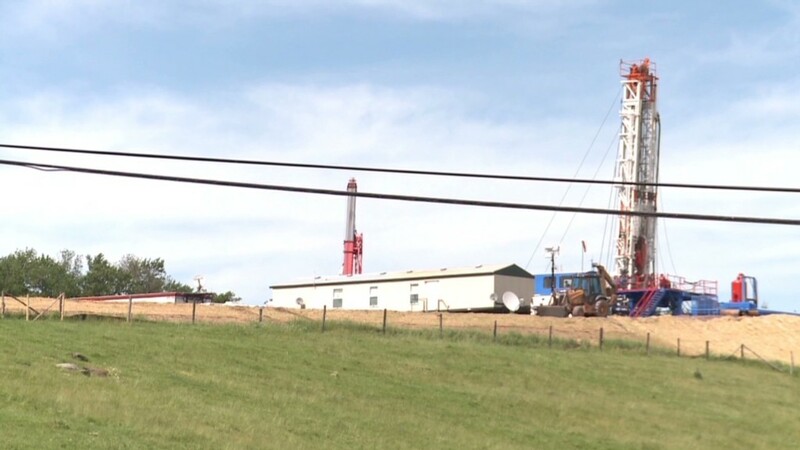 The fracking industry is an easy target for environmental and community groups who are concerned about the possibility that fracking might cause earthquakes and contaminate groundwater. "A lot of people have concerns about the environmental impact," said Fawkes. "In the U.S., the industry managed to get itself exempt from environmental regulation and we shouldn't allow that to happen." A spokesperson for the U.K. Department of Energy and Climate Change says it's important that the industry acts responsibly, so it created the Office for Unconventional Gas and Oil to "promote the safe, responsible and environmentally sound recovery of the UK's unconventional gas and oil resources." "We will develop proposals by summer 2013 to ensure that local communities will benefit from shale gas projects," she said.